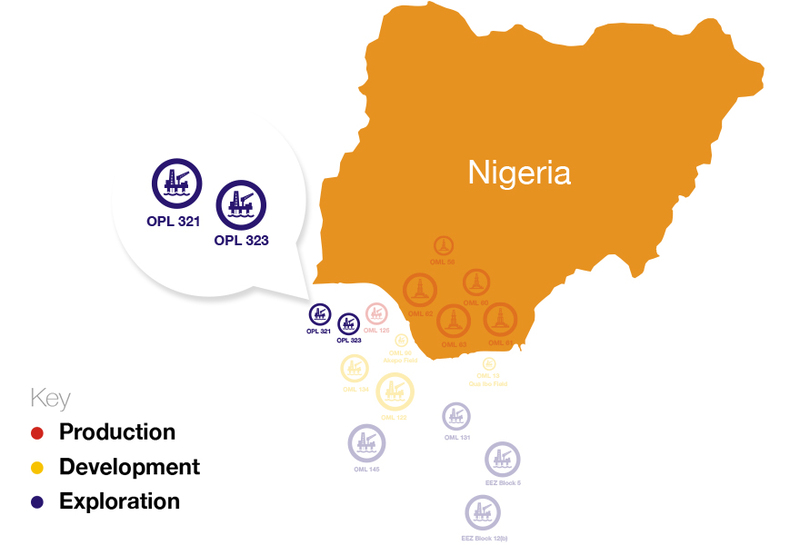 Equator Exploration Limited holds a 30% working interest in each of the deep water blocks, OPL 321 and OPL 323, awarded in the Nigerian 2005 licensing round. Located offshore Nigeria, adjacent to OML 125 and at a water depth of 950m - 2000m. During 2011, the Federal Government of Nigeria continued to appeal a high court judgment in favour of the operator, the Korean National Oil Corporation (‘KNOC’). The judgment, granted in August 2009, ruled that the government had acted unlawfully in January 2009 when it voided the allocations of OPL 321 and OPL 323 to KNOC (but not to Equator), nearly three years after the Production Sharing Contract (PSC’s) had been executed. Despite requesting and receiving a refund of its share of the signature bonuses of US$161.7 million in September 2009, Equator vigorously maintains its interests in the two blocks. In 2011, Oando/Equator campaigned for a settlement among the government and industry stakeholders. These efforts continue with the aim of achieving a resumption of exploration activities on these highly prospective blocks. A high quality 3D seismic survey has already been used to evaluate a number of large prospects and to select the well locations. OER holds 81.5% equity interest in Equator Exploration limited.